Photo by Melissa Cox. Used by permission, L. Tom Perry Special Collections Library, Brigham Young University. Most histories of the British short story begin with two assertions: first, that it is notoriously difficult to define the genre of the short story; and second, that the genre did not come of age in Britain until the late nineteenth century.1See, for example, Allen, 9-10; Dean Baldwin, “The Tardy Evolution of the British Short Story,” Journal of Short Fiction, Vol. 30 No. 1, 1993, 1-10; Wendell V. Harris, British Short Fiction in the Nineteenth Century: A Literary and Bibliographic Guide, Detroit: Wayne State University Press, 1979: 91-3; Barbara Korte, The Short Story in Britain: A Historical Sketch and Anthology, Francke, 2003: 27; Emma Liggins, Andrew Maunder, and Ruth Robbins, The British Short Story, Houndmills, Basingstoke, Hampshire, UK and New York: Palgrave Macmillan, 2011: 5-6; Brander Matthews, The Philosophy of the Short-Story, New York: Longmans, Green and Co., 1901: 10-13; Andrew Maunder, The Facts on File Companion to the British Short Story, New York: Facts on File, Palgrave, 2010: viii. Tim Killick offers an alternate view in British Short Fiction in the Early Nineteenth Century: The Rise of the Tale, Ashgate, 2008: 5-13 and 162. Edgar Allan Poe gave more credit to the British than more recent scholars have done (Edgar Allan Poe, “Hawthorne’s Twice-Told Tales,” in Literary Criticism of Edgar Allan Poe, Ed. Robert L. Hough, Lincoln: University of Nebraska Press, 1965, 133-41: 134.). In compiling this digital collection, our aim has been to examine these assumptions. Is it true that there were very few short stories written and published in Britain before 1880? How do we define short story in terms that acknowledge our current understanding of the genre while making room for historical specificity? Defining the short story would seem to be a simple task. After all, the definition appears to be part of the term itself—a short story is a story that is short. Yet scholars of the genre have gone to great lengths to distinguish between the short story proper and other relatively brief fictional forms. For our purposes, it is most helpful to begin with the oft-quoted definition given by the American writer Edgar Allan Poe. In an 1842 review of Nathanial Hawthorne’s Twice Told Tales, Poe made a lofty claim for the genre of the brief “tale,” arguing that it “affords unquestionably the fairest field for the exercise of the loftiest talent, which can be afforded by the wide domains of mere prose.”2Poe, 134. During a time when the lengthy multi-volume novel was coming to the fore in both the United States and Britain, why would Poe insist that a brief tale could showcase an author’s talent more effectively? According to Poe, a tale’s very brevity was the reason: since a tale would “require[e] from a half-hour to one or two hours in its perusal,” it could create a “unity of effect or impression,” something a longer tale, or novel, could never do.3Poe, 135. Scholars look back on this review as a signature moment in the history of the short story in English. Poe’s concept of a “unity of effect” is still at the heart of our concept of the modern short story. Indeed, no history of the genre can avoid engaging with his influence on the tradition. The influence of Poe’s review, however, came mostly in hindsight. At the time Poe’s essay was published, it garnered no more notice than the typical book review. Certainly, it did not receive wide attention on the other side of the Atlantic. In other words, there was no expectation in the British literary market that a tale should fit the model Poe outlined in his review of Hawthorne’s tales. Instead, the British market for short fiction accommodated a tremendous variety of fictional forms. In compiling this digital collection, then, we aim to explore the range of short fiction prevalent during the nineteenth century. In essence, we are asserting that there was a large selection of traditions and models for short fiction upon which nineteenth century authors could draw.4For an exploration of this market in short fiction during the Romantic era, see Killick, British Short Fiction in the Early Nineteenth Century. Our selection of texts follows the logic Tim Killick uses in British Short Fiction in the Early Nineteenth Century, as he explores a thriving market for short fiction early in the century.5See Killick 5-37. As Anthony Jarrells suggests in his study of the Romantic-era tale: the narratives we have collected “suggest multiple possible futures for short fiction.”6Anthony Jarrells, “Short Fictional Forms and the Rise of the Tale,” in The Oxford History of the Novel in English: Volume 2, English and British Fiction 1750-1920. Eds. Peter Garside and Karen O’Brien. Oxford: Oxford University Press, 2015, 478-94: 493. Short stories that conform to Poe’s formula were only one among many of the futures that were possible during the nineteenth century. This approach allows us to acknowledge and explore the vibrant market for short fiction that was present in Britain during the nineteenth century. What do we find when we explore this thriving marketplace? We find a plethora of fictional narratives, including oriental tales, colonial adventure stories, legends from around the globe, sketches of urban life, moral tales, sentimental fiction, children’s stories, and a host of others. The majority of these narratives appeared in periodicals—magazines and newspapers. Due to advances in technology that resulted in much cheaper printing costs, along with an increasingly literate population, the number of periodicals expanded exponentially over the course of the century. These ranged from daily and weekly newspapers reporting on local events and running extensive classified ads, to quarterly review periodicals aiming to keep their well-informed readers up-to-date with political, philosophical, and literary developments. Some periodicals were published for children, others for working class readers, still others for political parties or religious organizations. Many of these periodicals appealed to readers by publishing fiction. Entire novels were often published, a few chapters at a time, in periodicals. Even more often than novels, however, the periodical format encouraged writers to compose brief, article-length narratives of various types that would fit within an issue—in other words, short fiction. What types of short fiction appeared in these periodicals? Blackwood’s Edinburgh Magazine specialized in “Tales of Terror,” such as “Emily von Rosenthal—How She Was Spirited Away,” a tale of kidnapping and revenge. The Keepsake, one of a number of literary annuals published for the Christmas gift market, gathered sentimental narratives in prose and verse, such as Mary Shelley’s “The Dream.” During the 1840s, The Keepsake was edited by a noted author and London hostess, the Countess of Blessington, who charmed many fashionable authors into contributing, including Charles Dickens, Alfred Tennyson, and Benjamin Disraeli. Dickens’ Sketches by Boz, originally written for several different periodicals and later collected into a stand-alone volume, launched his career in the 1830s, and in 1843 he would publish a relatively short one-volume tale that became a pattern for many others—A Christmas Carol. Each of these narratives was crafted for its particular publishing venue and readership, some leisurely and rambling descriptions, others tight and concentrated plot-driven adventures. Some followed the ancient tradition of oral story-telling, though in print form; legends, fables, and myths were common terms describing short fiction of the time. Some sketched characters or scenes; some foreshadowed the modern short story. Others were written as linked stories with a frame narrative, aligning them with the longer novels and tales of the period. 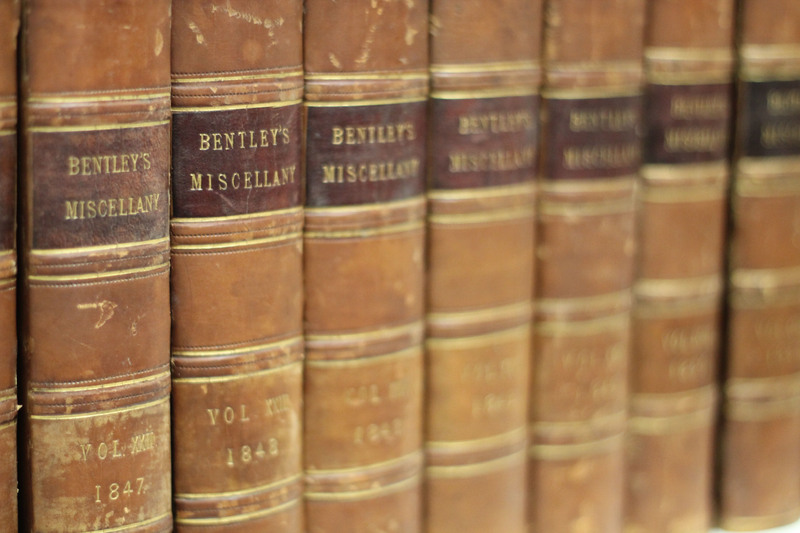 Given the prominence of the periodical market in the production of short fiction, we have chosen to draw all of the texts contained in this digital collection from periodicals published in Britain. These periodicals were typically the first publishing venues for short fiction, though prominent authors did at times gather their previously-published tales into volume-length collections. These were by far the exceptions, however. Most short fiction was written to suit the periodical in which it was published and was not published elsewhere. In the process of exploring these periodicals, one encounters short fiction written by authors from across the globe. As one would expect, many of the authors are from the British Isles (England, Scotland, Wales, and Ireland), but there are also American, Canadian, Australian, and Indian authors, among others. At times the periodicals included translations from various European languages. Very often no author was listed; anonymity in periodical publication, especially in the early decades of the nineteenth century, was the norm. Rather than limit the short fiction included in this archive to authors who can be identified as British, we have chosen to represent the transnational assortment of authors published during the nineteenth century in the British Isles. This allows us to hear the various voices contributing to the field of short fiction as encountered in Britain. Of particular importance is the decision to include fiction published anonymously. This is exactly the type of text that typically lies buried and unexplored, since we are so accustomed to assigning importance to a literary text based on the significance we assign to its author. If our purpose, however, is to understand the scope and variety of short fiction during the era, we cannot afford to ignore the substantial majority of texts that will remain unattributed. Looking at such a wide variety of short fiction helps us to see outside the restraints of our current generic categories for prose fiction—short story, novel, novella. Given that our categories do not suffice to describe and understand the range of Victorian fiction, what can we glean from nineteenth century short fiction itself about generic divisions? What terminology is included within the texts to identify, categorize and explain their nature as short fiction? Examining the wide variety of short fiction produced during the nineteenth century allows us to see beyond our typical assumptions about the history of the British short story. The nineteenth century saw a burgeoning of fictional forms that drew upon earlier, often oral, traditions to create a vibrant periodical market for short fiction throughout the century. Exploring this plethora of short fiction allows us to revise the common assumption that the short story came late to Britain. It’s more in keeping with the historical reality of the nineteenth century publishing world to say that short fiction thrived in Britain throughout the nineteenth century, with many different subgenres intermixing to create a remarkable period of experimentation and innovation. The British short story is thus a complex, multiform creature. It is made up of relationships between the material world of the demands of publishing and the marketplace, specific aesthetic schemas and programmes, the conventions of genre and the influence of the writers of other nations. It is a mongrel or, perhaps more kindly, a hybrid, and its names and forms are legion.8Liggins et. al., 5. This is certainly true of Victorian short fiction, which pulls together traditions and methods from older genres, innovates to meet current publishing demands, and adapts itself to any number of different audiences. 1. ↑ See, for example, Allen, 9-10; Dean Baldwin, “The Tardy Evolution of the British Short Story,” Journal of Short Fiction, Vol. 30 No. 1, 1993, 1-10; Wendell V. Harris, British Short Fiction in the Nineteenth Century: A Literary and Bibliographic Guide, Detroit: Wayne State University Press, 1979: 91-3; Barbara Korte, The Short Story in Britain: A Historical Sketch and Anthology, Francke, 2003: 27; Emma Liggins, Andrew Maunder, and Ruth Robbins, The British Short Story, Houndmills, Basingstoke, Hampshire, UK and New York: Palgrave Macmillan, 2011: 5-6; Brander Matthews, The Philosophy of the Short-Story, New York: Longmans, Green and Co., 1901: 10-13; Andrew Maunder, The Facts on File Companion to the British Short Story, New York: Facts on File, Palgrave, 2010: viii. Tim Killick offers an alternate view in British Short Fiction in the Early Nineteenth Century: The Rise of the Tale, Ashgate, 2008: 5-13 and 162. Edgar Allan Poe gave more credit to the British than more recent scholars have done (Edgar Allan Poe, “Hawthorne’s Twice-Told Tales,” in Literary Criticism of Edgar Allan Poe, Ed. Robert L. Hough, Lincoln: University of Nebraska Press, 1965, 133-41: 134.). 4. ↑ For an exploration of this market in short fiction during the Romantic era, see Killick, British Short Fiction in the Early Nineteenth Century. 5. ↑ See Killick 5-37. 6. ↑ Anthony Jarrells, “Short Fictional Forms and the Rise of the Tale,” in The Oxford History of the Novel in English: Volume 2, English and British Fiction 1750-1920. Eds. Peter Garside and Karen O’Brien. Oxford: Oxford University Press, 2015, 478-94: 493. 8. ↑ Liggins et. al., 5.